There’s nothing better for a person in the southern peninsula than witnessing astonishing rains in August followed by a scintillating show in September. Yet another wet day awaits peninsula amidst periods of blue skies. Though the sun is likely to peek out, easterly winds in the northern parts of the state are likely to keep the temperatures in check. Rainfall is likely in many places in Tamil Nadu with south interior Karnataka, Kerala and Rayalaseema entering the fray. Chennai – Mild day ahead with periods of cloudy weather mixed with blue skies. Maximum temperatures of 34 C with chances of rains. Trichy – Moderately warm day with the mercury hitting 37-38 C. Showers likely. Madurai – Partly cloudy skies on a day characterized by below normal temperatures peaking at 34-35 C. Evening thundershowers look plausible. 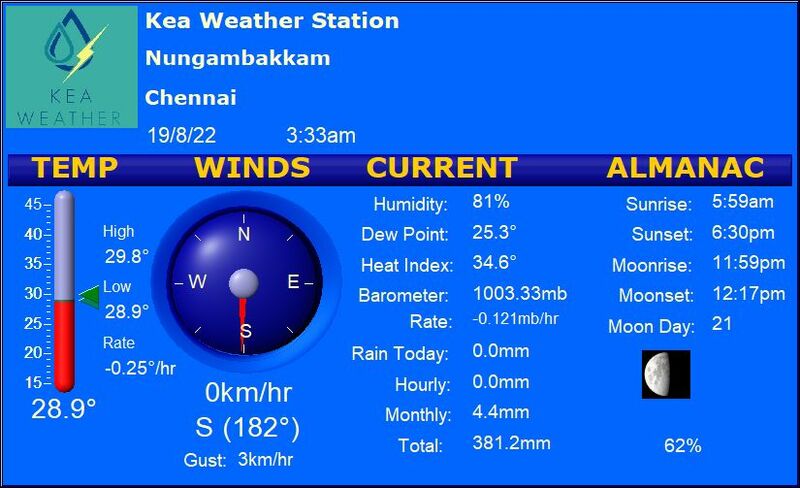 Coimbatore – Cool and cozy day ahead with the thermometer peaking at 33-34 C. Showers likely in the evening. Vellore – Rather warm and humid afternoon on the cards with chances of rains. Maximum temperatures of 36 C seem possible.